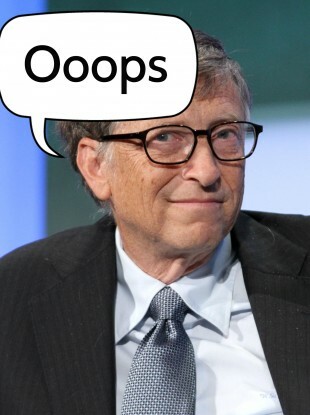 BILL GATES HAS finally told us what we knew all along… making people press CTRL-ALT-DELETE was a mistake. The Microsoft founder has said in an interview that requiring users to use the key combination to log onto a PC was a bad decision. He’s not taking full blame though; instead he’s passing the buck onto an IBM guy, who he says “didn’t want to give us our single button”. However The Verge points out that the IBM guy – David Bradley – had previously said that while he did devise the multi-button login, it was Gates who “made it famous”. The CTRL-ALT-DELETE combination was designed to prevent theft of passwords. By the way, hands up who wants one of these? Xbox’s new console… why does everyone hate it already? Email “Bill Gates says CTRL-ALT-DELETE was a mistake ”. Feedback on “Bill Gates says CTRL-ALT-DELETE was a mistake ”.